This level has medium difficulty. 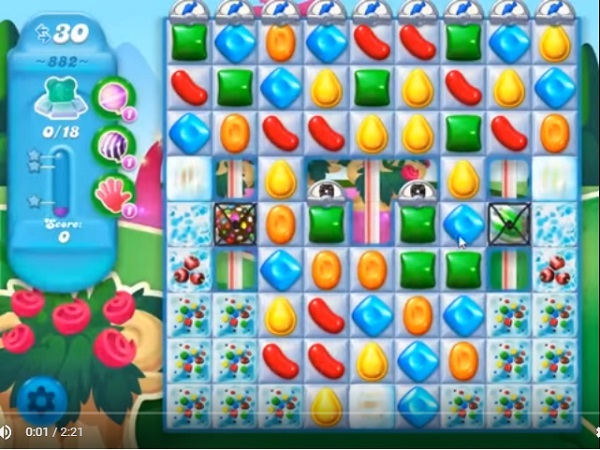 For this level try to play more from top part of the board and make special candy as you get the chance. Combine them with each other to break more snow blockers to find the bears. I HATE, HATE, HATE these levels!!! I can’t tell you how many times I have played, and over the course of those times have used ALL my power ups and still have not come close. I’ve had several good boards, but getting the bottom corners seems to be impossible!!! I agree I hate this level. Been playing for days maybe even weeks and can’t clear it. Not enough moves and all out of Power ups. How do you get more????. HELP!!!!!! As with saga, I am now deleting this app as these levels are getting very boring. Still cannot get through even with boosters I have won. Not waiting for months before finally getting through. Bye bye.